Students of Elementary School Teacher Education programs must be able to have higher-order thinking skills (HOTS) so that they can train students to have HOTS through learning activities created when they have become elementary school teachers. This study aims to explain students' high-level thinking skills in solving HOTS-oriented questions in Instructional Evaluation courses. This study uses qualitative research methods with data collection techniques using cognitive test instruments in the form of descriptions. Data analysis techniques use simple descriptive statistics. The results showed the level of thinking ability of students in answering HOTS practice questions still needed improvement. Students who have high learning abilities are better at answering HOTS-oriented questions compared to students in the medium and low categories. Recommendations for future research are required learning modules that can facilitate learning activities that lead to HOTS so that students are skilled in answering and making HOTS-oriented practice questions for elementary school students when they become a teacher. Altun, M., & Akkaya, R. (2014). Mathematics teachers’ comments on PISA math questions and our country’s students’ low achievement levels. Hacettepe Üniversitesi Eğitim Fakültesi Dergisi, 29(1), 19–34. Bakry, & Md Nor Bakar. (2015). The process of thinking among Junior High School students in solving HOTS question. 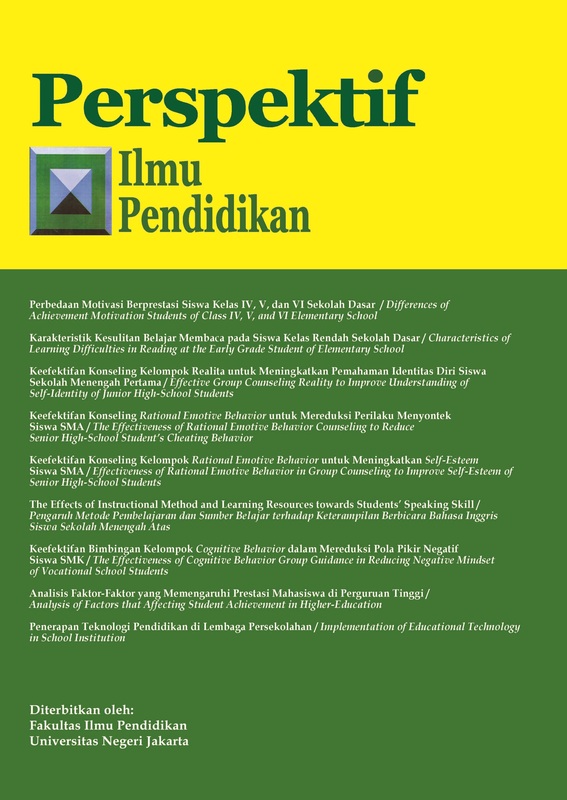 International Journal of Evaluation and Research in Education (IJERE), 4(3), 138–145. Edwards, L. (2016). EDUCATION, TECHNOLOGY AND HIGHER ORDER THINKING SKILLS Lucy Edwards, 1–18. Nguyen, T. (2018). Teachers ’ Capacity of Instruction for Developing Higher – Order Thinking Skills for Upper Secondary Students – A Case Study in Teaching Mathematics in Vietnam, 10(1), 8–19. Puchta, H. (2007). More than little parrots: Developing young learners’ speaking skills. Www.Herbertpuchta.Com. Raiyn, J., & Tilchin, O. (2015). Higher-Order Thinking Development through Adaptive Problem-based Learning. Journal of Education and Training Studies, 3(4), 93–100. https://doi.org/10.11114/jets. Tan, S. Y., & Halili, S. H. (2015). Effective teaching of higher-order thinking (HOT) in education. The Online Journal of Distance Education and E-Learning, 3(2), 41–47.